It is a chilli-based seasoning mixture that is commonly used in Moroccan, Algerian and Tunisian cuisine. 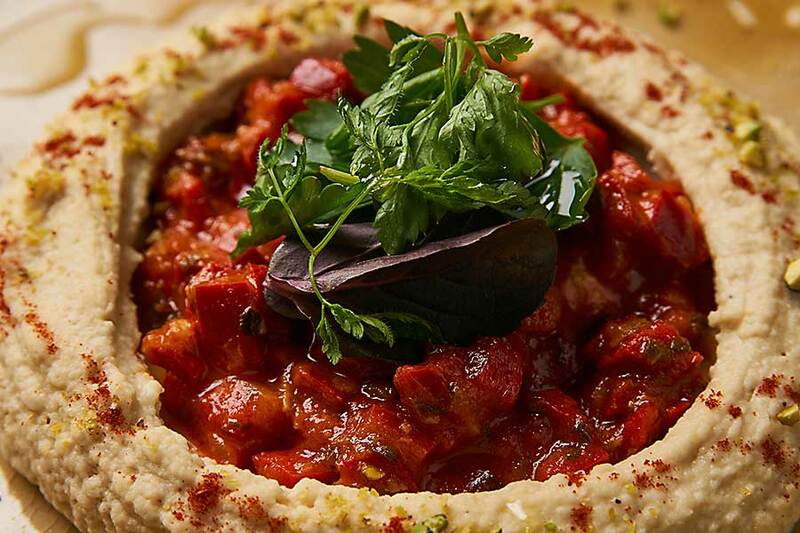 The essential ingredients of harissa are red chillies, cumin, garlic and olive. 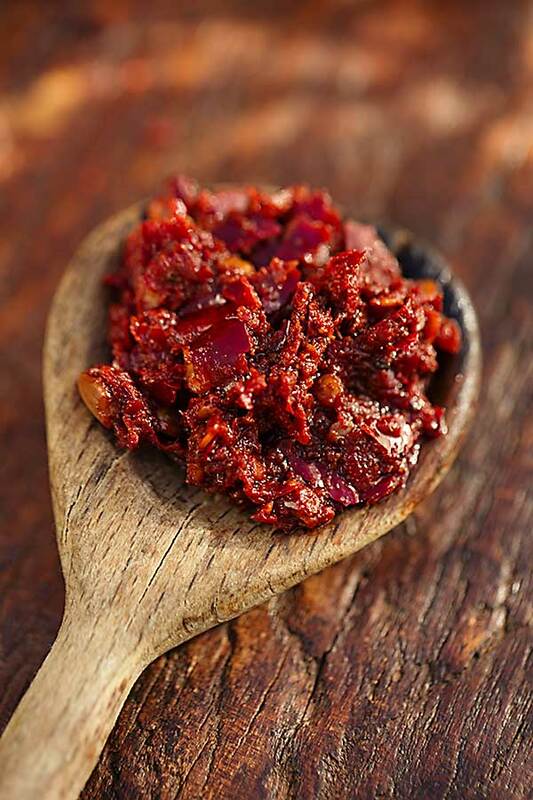 Harissa can have the consistency of a paste or thick sauce. The paste will be when we prepare it exclusively from dried chilli peppers and a small amount of oil – this version is very spicy, paste has an intense red colour. When we add fresh peppers and more oil, we get a thick sauce. The amount of oil regulates not only the consistency of harissa but also its spiciness: the more olive oil, the more the taste of the paste is softened because the capsaicin contained in chilli peppers dissolves in fats. However, do not overdo it with the amount of oil, because harissa will become fatty. Chilli peppers (both dried and fresh) before preparation should be soaked in hot water, to soften – they are easier to blend. Spices that are used for harissa (coriander seeds, caraway and Roman cumin) should be roasted on a dry frying pan to get the whole aroma out of them and then crush them in a mortar. Harissa additionally enriched with a pinch of Roman cumin will give the tomato soup a spiciness. If we combine it with natural yoghurt (a teaspoon of harissa for a glass of yogurt), we will get an excellent marinade for poultry, mutton and pork.